Winter is already upon us and a little earlier than expected. We are blessed to have extra blankets, warm clothes, and central heating to keep us comfortably warm, however, not everyone is as privileged as we are. The homeless crisis has been on the rise over the last several years and this year more so than ever; I’m sure you have noticed the increase in homeless people around Mile End and London in general. There is little room in the city for the homeless to exist as the government has increased anti-homeless architecture on the ground, benches and open spaces. The homeless crisis has become the unspoken problem for the City and as much as the TFL announcements tell us to ignore and report beggars, I still feel inclined to help those who aren’t as fortunate as we are. Give some extra food you may have with you or buy a meal for a homeless person. If you find you have food to spare, be it from closing the café on campus or from your lunch/dinner, it would be better to donate to the homeless rather than throwing it away. Unfortunately, it is not hard finding a person to donate to as there are many people around Mile End station. Ask a person if they would like a hot drink. Despite being homeless, we should not strip them of choice and so when asking them what they want and how they want their drink, it makes them feel both warm and appreciated. Find your local soup kitchen and either volunteer or donate unwanted food from your home. At https://whitechapel.online/, you can be kept up to date on volunteering opportunities and ways to support the homeless around London. This page also informs you about where the closest food bank is. Buy gloves, hats and scarves and hand them out to the homeless people you see. Even if you buy one pair of thick gloves, it makes a significant difference to someone who has nothing. Do not walk past and pretend homeless people do not exist. They do. Their life is just as precious as yours. There are organisations helping the homeless like the Homelessness Reduction Act where the council helps those who may be faced with the threat of being homeless. The Skylight Centre is a safe space where the organisation helps the homeless by providing food, a home and even employment. We can use this website to locate the nearest hostel, food and advice. If you find yourself in this position or close to this position, you can find support services here: https://www.crisis.org.uk/get-help/. Alternatively, you could help a homeless person locate a hostel or soup kitchen by searching on this page and aiding them in finding the safest location. Visit https://whitechapel.org.uk/volunteer/overview (The Whitechapel Mission) to support the homeless. Opportunities include providing breakfast, life skills or a place to drop by non-perishable food which will go a long way in making life on the streets easier for the homeless. There are numerous and affordable ways to support the homeless and we should not shy away from stopping and spending a few minutes asking them if they want any food or directing them to the closest hostel. 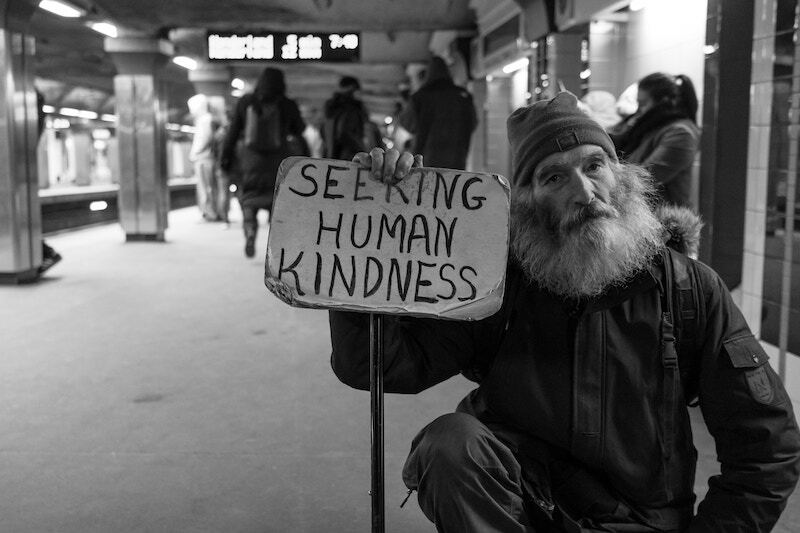 If you find yourself walking past a person on the street, try to remind yourself of the ways you could help. Also spread the word or share this article to help raise awareness of homelessness.